I have been working on a couple of things recently that I have been super excited about! One of these is a chance to work with our agency, IAN, and other adoptive parents to advocate for waiting children and providing support and help to parents along the way through a blog, Hoping You Home. Now before you email me and give me your opinion……Let me share that I know that not everyone is called to older child/waiting children adoption. I know that it is hard and has a lot of issues that come along with it. I know the heartbreaking stories out there…but I also know the stories filled of redemption and love. Just as I would not discourage marriage because of a high divorce rate and terrible stories, I cannot discourage older child adoption because of some of the heartbreaking stories out there. What I do want to do that is make sure that parents go into it prepared with eyes wide open and that you are supported throughout the journey. I never want to paint a fairy tale picture and I promise you I am not looking through rose colored glasses…but I do want to share the beauty and need of the children that are still waiting for a family and home of their own. We will advocate for children still waiting and share testimonies, older child adoption helps, and a Wish I Had Known series on this blog to help you! Please go take a look at www.hopingyouhomeian.blogspot.com and follow along! I also invite you to send me your stories or Wish I Had Known answers to help others in their walk. And…to end with some cute baby bath pictures. Little man loves the water! Can you tell? 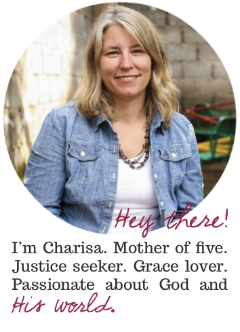 This is so great Charisa! I love your perspective and know this will help so many kids find their forever families!! I can't wait to follow along!